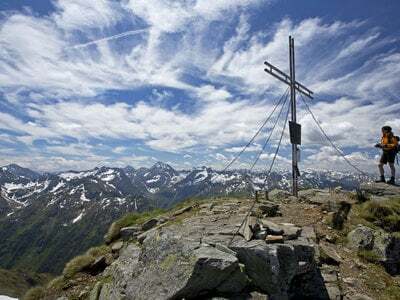 The Schladming-Dachstein Region is famous for its beauty. The pristine landscape with its abundance of water - there are about 300 mountain lakes, 100 waterfalls and a great amount of springs of water – also appears with an abundance alpine flower, a flora that sparks people for hundreds of years. The mountain’s kingdom spells the fauna as well: with a little luck you have look at marmots, roedeer, stags and chamois. But what about a farm without its own milk products? Fresh alp butter, best buttermilk, bacon and a snack that is hearty and tasty. That’s what belongs to an alp and into the world of mountains. 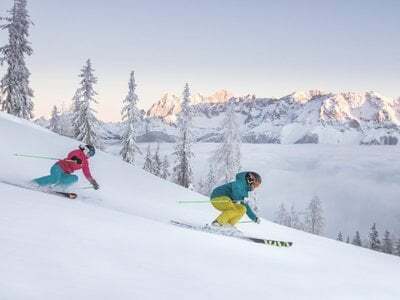 Enjoy your winter vacation in our HOTEL AT THE SLOPES of one of Austria’s »Top 5 Ski Resorts« - where you will find the biggest selection of slopes and lifts anywhere in Austria. The 223 km of superbly groomed ski slopes are within quick, convenient reach via 109 modern cable and chair lifts. The most modern snowmaking equipment in Europe guarantees enjoyable skiing until well into our sun-drenched mountain springtime. The impressive Dachstein Glacier even makes it possible to ski on 365 days a year. is a »skiing hub«. 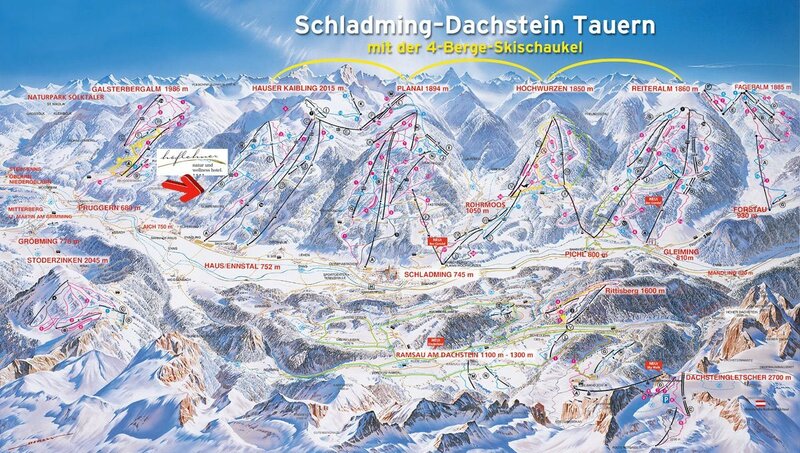 It encompasses the famous winter sports resorts of Haus im Ennstal, Schladming, Rohrmoos and Pichl/Reiteralm. The Schladming-Dachstein Region is a member of the »Ski amadé«, offering you the broadest selection of slopes and lifts in all of Austria, all on a single pass. »With just one ski ticket, you can be a part of it all«: 5 ski regions with 860 km of slopes and 270 lifts. on horseback. There are lots of activities almost without any limit except your own. We give you tips and information round our region! Have a nice time.